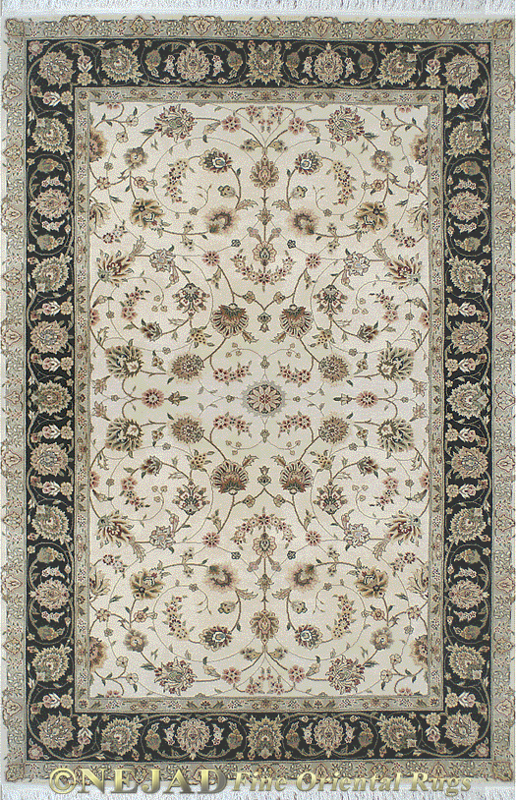 The Silk & Wool Knotted Rug Collection features magnificent traditional Persian Tabriz designs, with or without center medallion, in an exceptional hand knotted quality. Each exquisite rug is expertly woven by the most experienced weavers using superior quality wool with design elements highlighted in pure silk. The color palettes are rich and sophisticated, designed to compliment today's refined decorating styles.